This book analyzes 153 languages from a large variety of families to establish a previously unexplored relationship between phonetically conditioned sound changes such as lenitions and functional (meaning maintenance related) considerations. Carefully collecting numerous inventories of consonants, this collection is likely to become an important resource for future linguistics research. 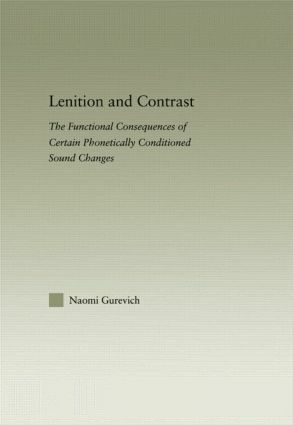 By distinguishing between phonetic and phonological neutralization, and showing that the first does not necessarily result in the second, Naomi Gurevich uncovers previously unexplored and often surprising trends in the relationship between phonetics and phonology.